Illinois Central softball coach Lorene Ramsey, who has molded dozens of outstanding players in her long Cougar career, may have never had a player like Kim Hartzler of Washington. An outstanding pitcher who finished last season with a 17-2 record and an ERA of 0.85 Hartzler also was the team's leading hitter with .477 average, a flock of extra base hits and 62 RBls. "I've had some very versatile pitchers in the past, but I've never had a pitcher that hit almost .500," praised Ramsey. Hartzler always had her bat in the lineup, playing third when not pitching. And she was no slouch there, either. "She's played third base for us in All-American fashion defensively," points out Ramsey. "In my years involved with ICC softball, I have never seen one person be such an impact player offensively, pitching and defensively," says batting coach Rudy Rudolph. "She can hit for singles or for power," points out Ramsey. "She's a tremendous RBI player." Hartzler, who is now attending Eastern Illinois University, was selected along with teammate Brigit Cornish for the United States Junior College All-Star team that played in the Canada Cup tournament last season. She played every inning of all nine games. 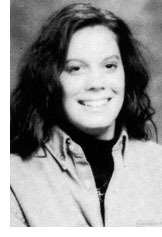 In 1995 she also was named to the First Team All Regional; first team all regional tournament; Most Valuable Player NCAA regional tournament; first team National Softball Coaches Association All-American; first team National Junior College Athletic Association All-American. Her .478 batting average at ICC last season was the highest average of any regular player in the 27-year history of the ICC softball program. 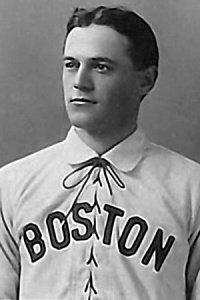 Born in Peoria in 1877, Norwood Gibson signed with the Boston Red Sox after earning his master’s degree in chemistry from the University of Notre Dame. Part of a pitching rotation that included Cy Young, Gibson compiled a 34-32 record in 85 career appearances with a 2.93 earned run average during his four-year career.